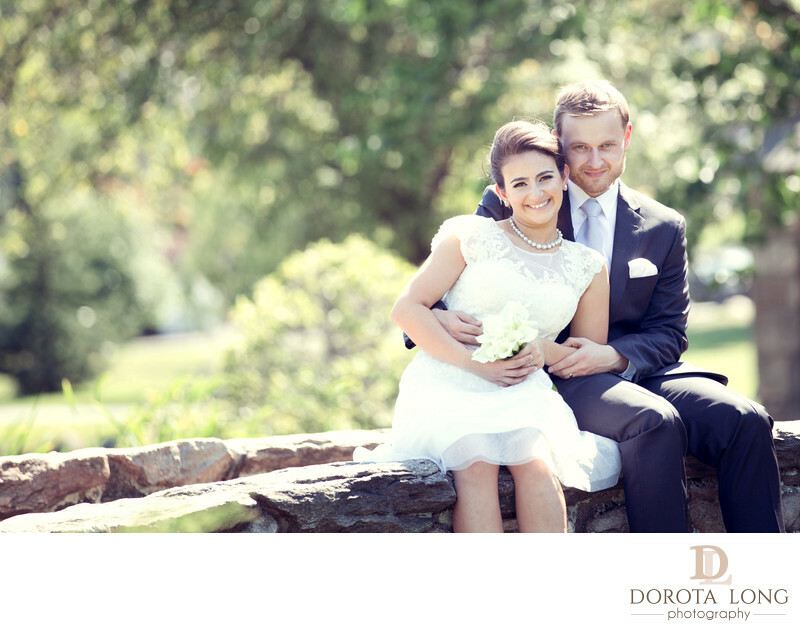 This one was one of the very first weddings I photographed as a Danbury wedding photographer. The wedding ceremony took place at the Binney Park in Greenwich, Ct. I love Binney Park because of the location but also there are many different areas in the park itself where every photographer would be very happy to take photos. This wedding took place in one of the gazebos and afterwards we walked around the park to find some locations to take family formals as well as some individual shots of bride and groom I loved this stone bridge. Since the sun was very strong, I asked the wedding couple to sit on the bridge so that the sun was behind them. This made the background very bright but at least their faces were not overexposed by the high noon sun rays. I always try to avoid strong sun and my favorite time to photograph is one hour before the sunset. Unfortunately with weddings, I cannot pick a time to photograph my wedding couples. I have to take photos the time I am told and many times it means taking them at noon. This results in very bright images and I have to say my clients typically are very happy with their images. If you would like to check out some reviews, feel free to check out my Wedding Wire reviews here. Location: 70 Southern Blvd, Danbury, CT.